A/n: Since this article focuses on British railroads, this seems like a good opportunity to make a little side note about terminology. I have always used American terms in the article text to describe locomotives and other railroad equipment, regardless of what country the object in question comes from, except in the case of formal titles. The reason for this is two fold. First, I am writing from the United States and the American terms are simply what I am used to using. Second, and more importantly to me, I feel that it would make for jarring reading to go back and forth with the terms--"cab" in one place and "footplate" in another, for instance--especially when the switch would happen within the same article. Take a moment to put on your big boy pants, to grab your favorite talisman, or whatever else gives you strength when the boogeyman shows up. Today we’re going to talk about the man remembered as the single greatest villain in all of railroad history, one far more sinister than any mustachioed robber-baron: We're talking, of course, about Dr. Richard Beeching, the man who advised closure of a staggering portion of the British railroad system and overshadows the transition away from steam. Dr. Beeching is one of those cases where history identifies one single person as the cause of a very complex cultural metamorphosis. In popular culture and personal memory, he is almost universally reviled. He and his reports are so emblematic of bureaucratic inefficiency that the Doctor himself made on of the most astute summaries of his legacy: “I'll always be looked upon as the ax man, but it was surgery, not mad chopping.” In fairness to Dr. Beeching, both the impact of his report and the depth of any grudge he might have held against the railroads are somewhat murkier than his pop-culture caricature would indicate. 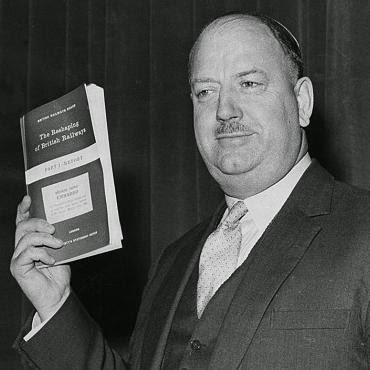 There is no denying the fact that the Beeching reports caused a distinct shift in the operation of British railroads, and that they ultimately failed to make them turn a profit. Both results are abundantly documented. However, at the time that the Beeching Reports were published, the British Railways were in such a poor state that many of the proposals listed in the reports were all but inevitable. Taken as a whole, the British railroads had run in debt for almost half a century before Beeching published the first of his reports in 1962. It had become apparent even as early as the the 1920s that a significant percentage of the branch lines and short railroads constructed during the railway mania in the late 19th century were failing to live up to the economic potential. Some lines had less than a dozen regular passengers per month, and there was no plausible situations in which fares could offset the cost of running trains and manning stations and signal posts. A few of these unprofitable lines were closed during the ‘20s and ‘30s under their owner’s own volition, but the beginning WWII temporarily brought the railroads back up capacity and forestalled any concerted attempts to address the problem. It was only in the late 1940s, when the railroads remained nationalized, but once again began to suffer deficits, that the British government undertook a serious attempt to root inefficiencies out of the railroad system. In 1949, the British Transportation Committee formed a panel specifically to examine the state of railroad branch lines. The BTC chose the Isle of Wight as a testing ground to study the traffic patterns of the local railroad system, and propose solutions to offset them.They concluded that the majority of passenger service on the Isle could be handled by busses, except during the busiest holiday hours, and that further savings could be gleaned by moving a significant portion of the freight typically carried by rail to newly constructed automobile roads. With alternative forms of transportation put into place, the portions of the railroad system that were not turning a profit could simply be eliminated. The approach of removing traffic from the rails and then closing down under performing lines typified of future attempts to ameliorate deficits in the railroad system. So, too, did the resistance and anger that the Isle of Wight residents displayed as the closures were proposed. Eliminating so much of the tracks amounted to significant job loss, and many residents of the Isle’s more rural areas feared that the elimination of passenger services would leave them completely cut off from more populated areas.Through the entire Beeching era, public outcry was occasionally enough to prevent specific lines from being closed. The fact of the matter was, though, the British railroads had been dealt a hand that made it difficult to ever compete with road traffic in any meaningful way. Rail traffic remained nationalized as British Railways into the early 1950s, and operated under a strict set of rules governing how much they could charge to haul freight. Trucking companies, on the other hand, were privatized and freed from WWII gasoline rationing. As a result, the branch lines that could potentially have commanded enough haulage to break even were forced to operate in conditions that trapped them in the black. The closures and road integration pioneered in the Isle of Wight factored profoundly into the Railway Modernisation Plan enacted between 1954 and 1956. Although the terms were projected to eliminate the deficit by 1962, it failed utterly to bring the railroads up to standards. The Modernisation Plan’s primary shortcoming was an ironic one: It assumed that the only aspect preventing profitability was outdated equipment, and did not in any way take into account that rail cargo would continue to abscond to the roads. To the public mind, though, the one and only sin of the Modernisation Plan was the wholesale elimination of steam locomotives in the United Kingdom. This criticism cannot be completely dismissed as nostalgia. Many of the diesel locomotives purchased under the Modernisation Plan were still in prototypical stages and under performed in general service. The Plan also called for far too many light duty locomotives for shunting yards and branch lines that were closed within a decade. Furthermore, transitioning the entirety of the British Railways to diesel locomotives in under a decade, rather than integrating them into the roster as aging locomotives wore out, meant that a great number of steam locomotives were taken out of service and destroyed only a few years after being built. Some of these had been designed to remain in service at least to the 1990s*. All three points significantly undermined any savings that might have been gained from closing branch lines. Dr. Beeching tends to be blamed as the man directly responsible for the loss of steam. This is an unfair characterization. The equipment changes mandated by the Modernisation Plan took several years to implement, and, just by coincidence, the most vigorous withdrawals of steam locomotives happened around the same time that Dr. Beeching came to power and released his reports. In truth, Dr. Beeching was not even remotely involved with the transportation sector during the mid 1950s, and was in no way involved with the drafting of the Modernisation Plan. That the Doctor would end up in the transportation industry at all, let alone in a position that would significantly change the course Britain’s industrial history, was a fluke of politics and personal connections. Dr. Beeching’s doctorate was in physics, with a focus on metallurgy, and while the British government drafted the Modernisation Plan, was busy working his way up the chain of command of a company called Imperial Chemical Industries. He had no experience in the transportation sector when was suggested as a second choice for a Parliamentary council supervising British transportation in 1959, a full five years after the Modernisation Plan was released and implemented. The Council members hoped that he could apply his experience as a businessman to the problems dogging the transportation sector. After serving in that capacity for two years, Dr. Beeching was appointed chairman of a committee commissioned specifically to address the state of British Railways. Dr. Beeching commissioned extensive studies of road and rail traffic patterns across the United Kingdom, and compiled his recommendations based on this data into two reports, The Reshaping of British Railways in 1963 and The Development of the Major Railway Trunk Routes two years later. (PDFs of the full documents are available at the linked addresses.) These two documents proposed a twofold plan to reorganizing the railroads and shave them down into what Dr. Beeching believed would be a profitable model. First, the least profitable stations and routes, statistically identified by the data, were to be closed. Dr. Beeching also advised saving on maintenance costs by closing routes that he believed to be geographically redundant. The areas that were cut off by the closures would be served instead by road, and what rail traffic remained was to be concentrated along nine main corridors. All in all, Dr. Beeching’s reports proposed eliminating 6,000 track miles--a full third of the system--and closing more than 2,300 stations. The Beeching cuts were met with a vocal public outcry. In some places, where locals could show that the railroads served a vital function, public pressure was enough to save lines in the area from closing. Had Dr. Beeching’s proposals been implemented exactly as written, for instance, both Scotland and Wales would have been almost completely unconnected to the larger rail network. By the end of the 1960s, though, approximately 4,000 miles of track, 1,100 stations, and all the jobs associated with keeping them running had been eliminated from the network. 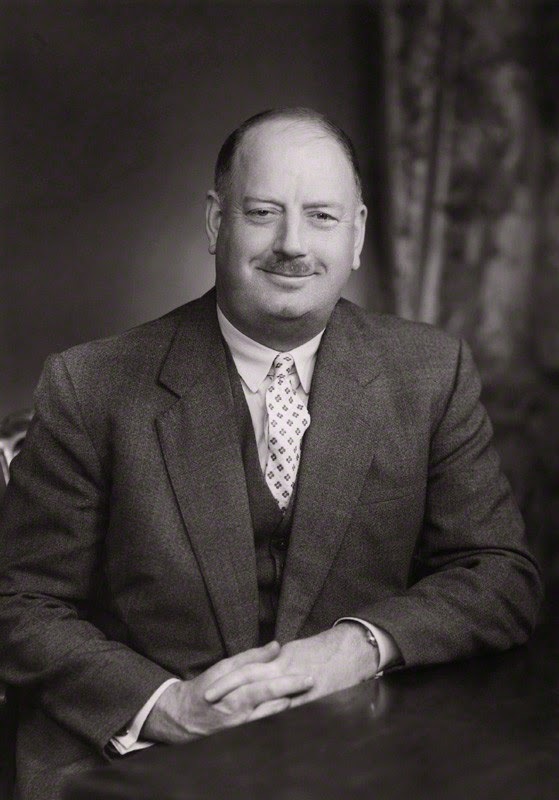 Dr. Beeching left the Parliamentary committee and returned to Imperial Chemical Industries in 1965. It remains a matter of some debate whether he left voluntarily or was fired. In either case, though, he had little effect on the way the regulations that would come to be his legacy were carried out. Through the course of Dr. Beeching’s tenure, there was little to indicate that he harbored any particular resentment against the railroads. May of the closures that he proposed would have happened eventually, regardless of who proposed them. If there is any clear villain in the story, it is likely Ernest Marples, the Minister of Transportation who who appointed Beeching to the committee. Since he owned a scandalous eighty percent share in the company that would come to build the major highways in the United Kingdom and had every motivation to push for a dissolution of the railroads. Finally, in many areas the buses and trucks that Dr. Beeching envisioned would succeed the railroads failed to perform as well as anticipated. All of these factors were beyond the Doctor’s control, and severely hampered public reception of the plan. Member of the public protest the closure of Castlethorpe Station. There were also, though, serious shortcomings inherent in Dr. Beeching’s reports. Critics believe that the reports should have factored in the importance that a railroad line and station might have to a particular area, instead of relying only on statistics to evaluate its performance. Furthermore, eliminating the flow of rail traffic from branch lines, even if individual lines might only supply a miniscule amount of freight, amounted to a substantial loss of traffic on the main lines. This, and the continued effects of the failed Modernisation Plan, prevented Dr. Beeching’s cuts from achieving any success. Even after massive closures, the British Railways could not break even. 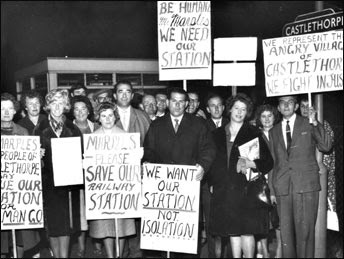 After two decades of attempting to balance the books, the British Government changed strategies Marples' successor, Barbara Castle, introduced legislation in 1968 to allow subsidies for some railroads operating in debt. The government had admitted a defeat: With competition from road, and, eventually air travel, it became increasingly difficult for any passenger railroad to turn a profit. The fifty years that have elapsed since the Beeching Cuts have provided some vindication for its critics and economic victims. Rail traffic in Britain slowly increased from its mid-century nadir, and the condensed system was no longer sufficient to handle demands. A few dozen stations in London and throughout the United Kingdom reopened to revenue traffic, others have been carefully restored and operate as heritage lines. In 2009, 14 lines, with about 40 stations combined between them, were tapped for reopening. Other former rail routes that did not ever see a return to economic viability have been repurposed into biking or walking trails. Had the Beeching Cuts and the Modernisation Plan before it been carried out in stages, and with more consideration given to the ways that the railroads might evolve in the future, the reorganization of the railroads might have been met with less public rancor. Both were cases of too much change put into action too fast, and were carried out in such a callous way as to give the public the impression that the government was dismantling a source of national pride. Despite the sadness and anger left behind by the thousands of miles of abandoned branch lines, the Beeching Cuts and the Modernisation Plan had the unexpected effect of creating one of the best possible climates for steam preservation enthusiasts. In the next article, we will take a closer look at this unexpected silver lining. *Yes, it hurt to write that.